Niagara Falls, NY - Niagara Falls Police Officer Greg Spagnolo writes out a receipt for a handgun being turned in for disposal. 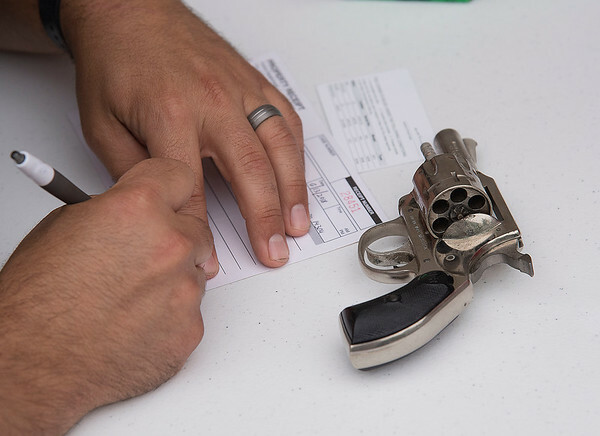 The New York Attorney General’s Office sponsored a gun buyback in Niagara Falls on Wednesday, part of the office’s statewide gun buyback program across New York. The buyback is co-sponsored by the City of Niagara Falls Police Department.